Saturday, January 12 | Yuengling Gift Shop & Tasting Room Hours: 11-4pm. No Tours. 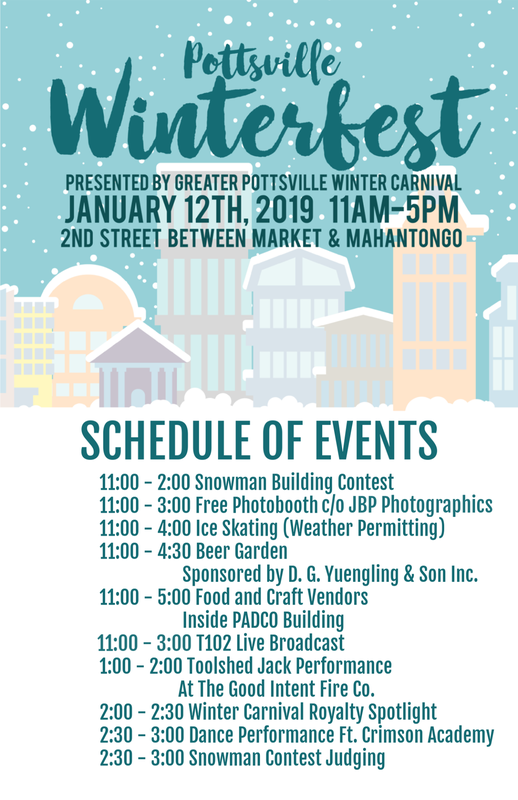 Pottsville Winterfest is presented by the Greater Pottsville Winter Carnival. This downtown festival will feature local vendors and fun family activities! The Yuengling Gift Shop & Tasting Room will also be open from 11 a.m. to 4 p.m. (no tours). Buy a pint, get a free pint glass! Our new 190th Anniversary t-shirts will be 20% off, Saturday only!